My daughter knew her audience was bigger than the teacher today. 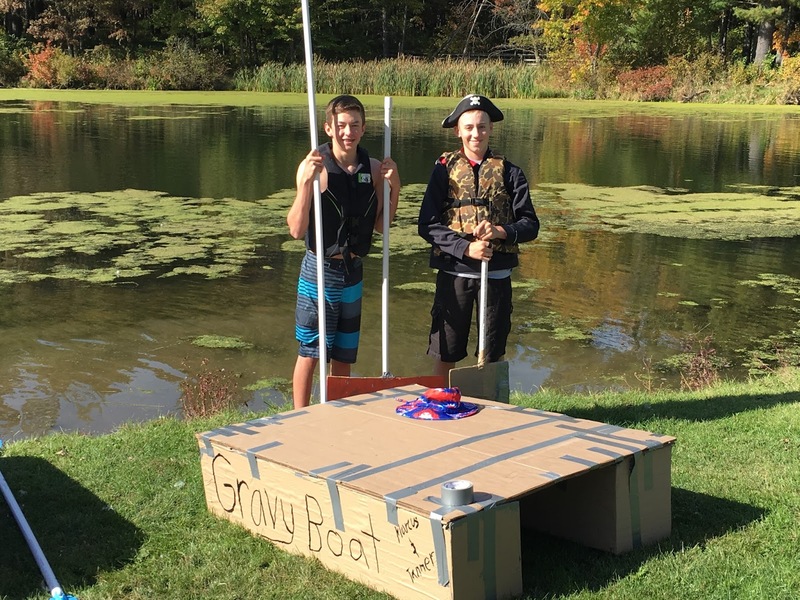 Most of the boats stayed afloat for awhile, those that did not clearly understood what happened in their construction, but all knew they had a vested interest in the project as they were captaining the vessel. If it sunk...so did they, and their peers/teachers/parents would all be there to see it. When we know the work is shared with the world we clearly tend to take it more seriously. Writing my dissertation was awful. I had to find time to get to it and loathed looking through the edits. I knew no one was reading it. In fact, I placed a $10 bill on page 14 of my dissertation on display in the Cardinal Stritch Library in Milwaukee, WI. I am certain that when I go back in 10 years to look, it will still be there. The only audience was my committee. Fast forward 3 years and I have co-authored 2 books. I could not wait to work on those. The collaboration with Tony Sinanis, the conversations about how we could change practice, the idea that we could help change the narrative of schools...all drove me to want to write, improve, and tell the story to the world. The audience was real...and when it’s real, it is easier to see the value in the words. 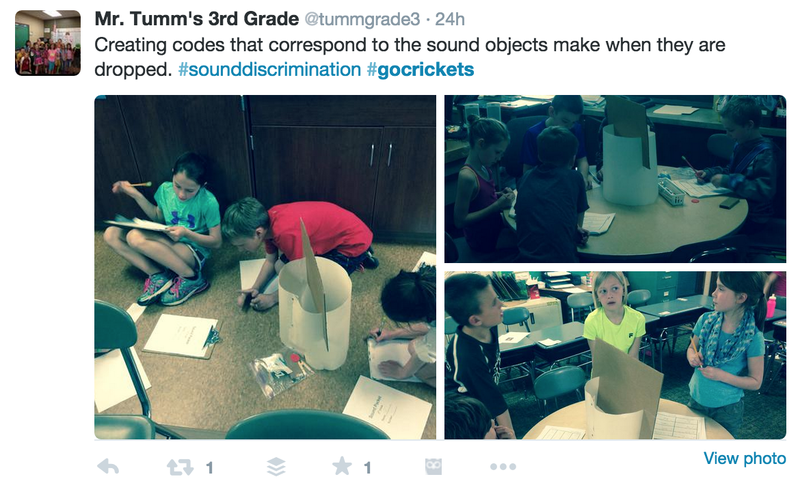 Both the 3rd grade kids and the HS kids had standards to attain as part of their project. Having said that, they all went about the process in different way. 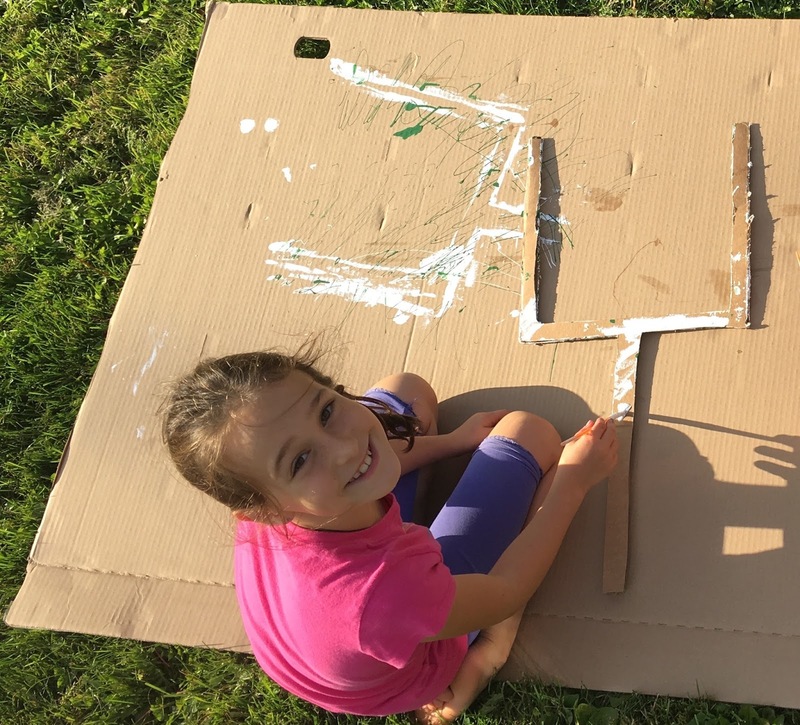 I think there has to be a balance between pure project based learning and essential skill development (specifically at the younger grade levels). However, when it comes to a predetermined standard, I truly believe that if kids own the process of how they demonstrate said standard, they will put more effort into it. As adults, we are the same. Tell me that I have to learn something and spit it out on a piece of paper or online doc...I forget in a day. Let me own the process and demonstrate that I have gained knowledge in a way that fits my interest and I’ll spend more time doing it. I want to own it. Kids want to own it. The students I have seen in the last 2 days discussing their cardboard creations make it as clear as ever. We, as district leaders, have a real chance to model this for staff and show them what the power of ownership looks like. In Fall Creek, we try to treat professional development like Genius Hour or Passion Projects. Find your passion...and let’s help you develop in an area where you want to get better. In 3 years, we have never said no to a professional development goal. We have helped people move through the process and sometimes we have to tweak some language, but if they find passion in their goal, we will help them find a way to make that happen. Our issue this year was how do we measure those goals in an evaluation system. Our answer...don’t worry about that now. We’ll deal with it later...you find your passion, and it’s my job to find a way to measure it. This year we are taking it a step further and allowing staff to demonstrate their learning in any way they choose. We will still have the forms we have used available, but if there is a different way to show learning that resonates with them...GO! We have to trust people. Some will put a tremendous amount of time into the process, others will not. There may be a faction of a group that tries to skirt the process and doesn’t put as much time or effort into getting better. Spoiler alert, folks...the process you are using with them isn’t working either. We are making decisions based on our best teachers...and our best teachers want voice and choice in the process. Guess what, the gorgeous little girl who walked into my room at 5:45 wants it too, and I know she is in a place where that can happen. Go Crickets. A few years ago I wrote a blog post about the idea that we as district leaders had to find a way to come together and learn as a group. We lead learning organizations...therefore, we should lead the learning in those organizations. Over the course of the last four years I have seen our Wisconsin Association of School District Administrators (WASDA) take some great strides in bringing our members together to learn as a group. As Ed Reform movement tends to move glacially, sometimes we need an event to start a new conversation and get people thinking about learning in a different way. I truly believe Edcamp has done that for teachers, and after taking on the first Edcamp in WI dedicated to Superintendents, I wholeheartedly think it could have the same impact on district leaders. 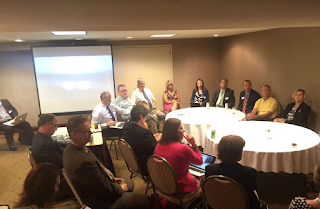 Last year, prior to the start of the Fall Superintendent Conference in Wisconsin, I was asked to organize a Social Media Lounge for Superintendents to become more familiar with digital tools to help their learning and tell the story of their district. The session was good...we had about 20 people show up and had really solid conversations about social media. I don’t know if anything new was learned that day. We knew it could be a powerful tool before we got in the room. We knew it would take away from other things we do. We knew that there were inherent risks in adding social media to your district, but those risks didn’t outweigh the benefit to kids. People left that session with a better understanding, but I don’t know if any new knowledge was gained. This year, when asked to run the Social Media Lounge again, I asked if it would be ok to run an EdcampWASDA instead. 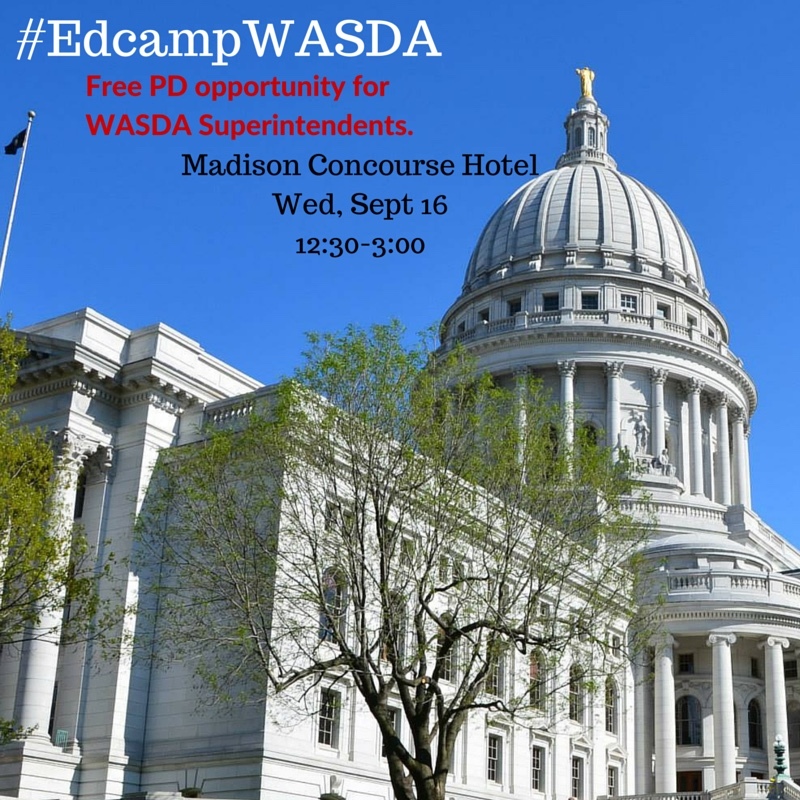 Full credit to WASDA here...they may not have known anything about Edcamp, but they trusted, gave us 4 rooms, and helped promote the opportunity to everyone. I was not surprised at all...they have been incredibly supportive of Superintendents in our state. Based on the size of the rooms, we had to cap the number at 75 total participants. 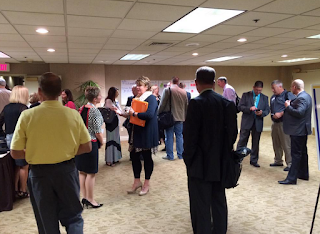 Though we didn’t sell out, we had 67 people sign up to join us prior to the preconference sessions. With a free opportunity, the likelihood of retaining all of those participants can be low, but we counted 62 of the 67 Supts in the opening session! We explained what Edcamp was, talked about how we needed to trust the process, and then built a fantastic board for the day! Last year during the Social Media Lounge we talked about Twitter, Facebook, and Instagram. Though those topics came up this year, look at the other opportunities for Superintendents to choose. So good! 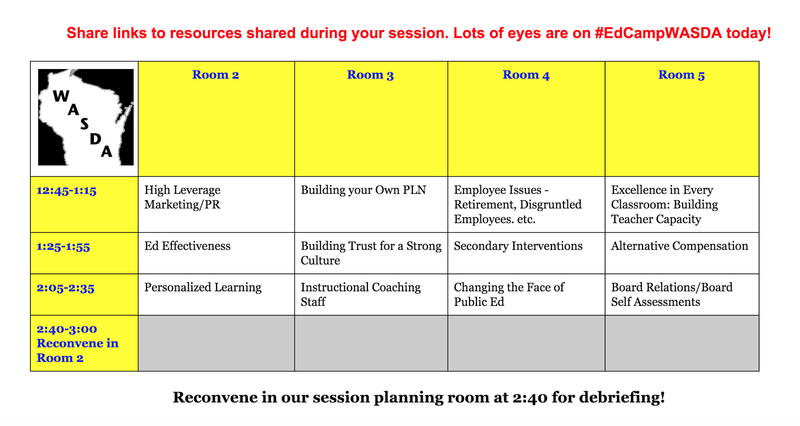 No sessions were pre planned...these ideas all came from the Supts in the room and that ownership was absolutely huge. 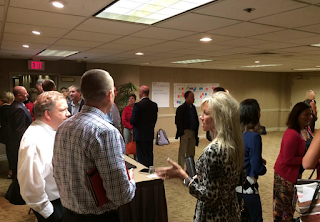 They invested, trusted, and engaged for a few hours in a way that I have not seen before. It was fantastic. I loved the conversations, and the idea that it was a relaxed atmosphere where learning could take place. People were on their phones, but they were on their phones tweeting or looking for a resource, not thinking about what was going on back in the district. 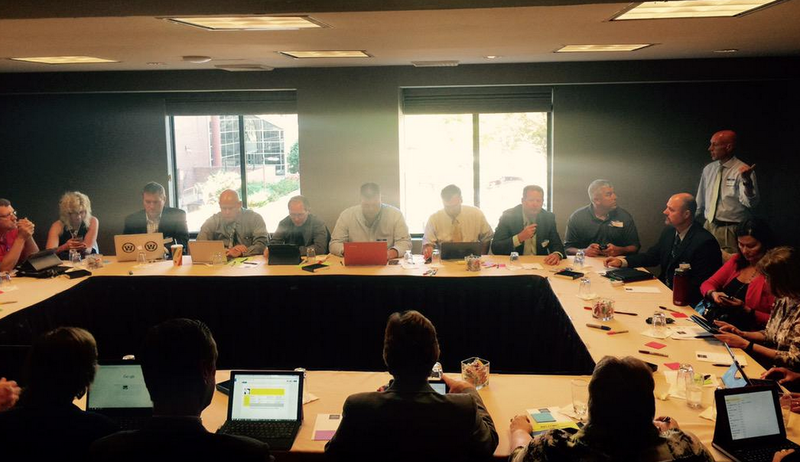 Our State Superintendent, Tony Evers was there...participating in conversations with district leaders. Leaders from schools with populations of 10,000 were having conversations with leaders from schools with populations of 300...all in this together and all in this for kids. The best part for me was the 2:40 session where we debriefed at talked about what it could look like for our organization, but more importantly, what would this look like in your district. If we allow our staff to own their learning process they will see the value in allowing students to own it was well. We have to believe and trust that ownership leads to engagement, and that process allows our kids to have more voice and choice in their education. I could not be more proud of our organization. As is always the case, this could not have been done without the help of many. Kaye Hendrickson took care of all the logistical stuff, so we we could concentrate on the process...she was amazing. Brad Saron, Paul Fisher, Colleen Timm, Joann Sternke, Deb Kerr, and John Pederson were all there to help build the board and answer questions. WASDA Director Jon Bales trusted the process and Nancy Lund and Jessica Schwedrsky made the room arrangements a reality and pushed the message. Moving forward I am excited, and a little nervous, about what EdcampWASDA can become. I’m excited for the opportunity to grow our circles of influence and get more people involved. WASDA has expressed interest in making this part of our regular conference. That is awesome...and a little nerve wracking. The thing that made EdcampWASDA so great was that everyone in that room CHOSE to be there. They left their district early and made a conscious choice to be part of something new. My ONLY fear in making it part of the regular conference is that we can’t mandate learning. We can provide the opportunity, but it is about the learner and when the learner chooses, we all win. This is absolutely no different in the classroom...when the learner chooses, they invest. When they invest, they grow. EdcampWASDA was successful because over 60 people trusted the process and allowed themselves to take a risk. Just think what that that concept could do for schools districts, schools, and most importantly...kids. Go Crickets. A few weeks ago I had the opportunity to return to an area of the state where I lived for 10 years as a teacher, counselor, and coach. My time in Ashwaubenon was special. I met some incredible people and got to work with kids in both elementary school and high school, which was such a fantastic balance. I was in town teaching a class through Viterbo University and as I prepared I was sending out some tweets about getting excited to be back in that area and looking forward to meeting our group. A few of my former students/players saw the tweets and reached out to see if there was a way we could connect while I was in town. What an incredible feeling…to reconnect with kids who you knew years ago…at different places in their lives…and talk about the experience when you were together. One of the guys was a 3rd grade student when I left and the other was a member of the high school golf team that I coached. I had so much fun talking to both of them…the golfer and I went out to lunch and I caught the former 3rd grade student working with kids at a park as part of his summer job. We talked for some time about all the things that happened when I was in school with them. The time I wore a wig and huge sun glasses to introduce a lesson. The time I made the team run 1 hole on the golf course for each time they used profanity (only had to happen a few times…ha! ), a quick conversation, and a book I read to a 3rd grade class. The crazy thing is…if I was asked to recall the best parts about teaching and coaching with these guys, I would not have picked any of those instances. They were just things I did…not a lesson I was really excited about or crowning achievement on a team. The most notable things to us are often not what our kids remember. Perception is such an incredible thing. We go through our lives interacting with multiple people on a regular basis. We spend our time getting ready for meetings, lessons, presentations, events and other big ticket items. I have a tendency to look ahead at what is next and not live in the moment. The conversations with these two incredible young men reminded me that those moments are what others remember. 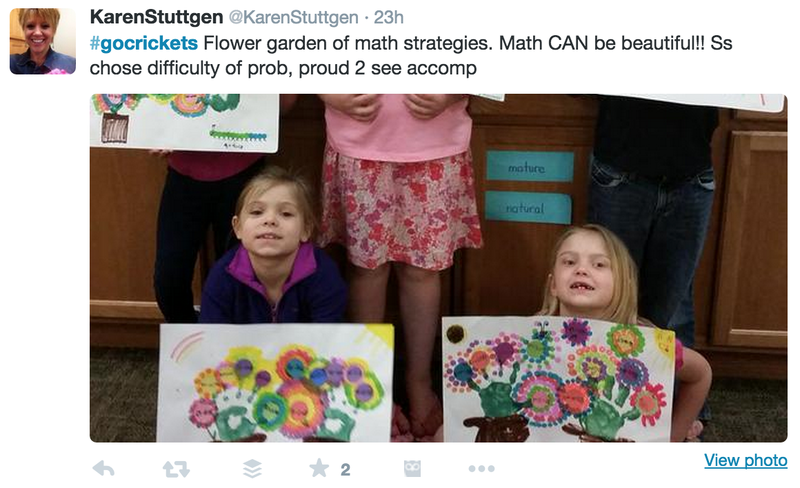 As I often do, I sent out a tweet with a picture from my meeting with the former 3rd grade student. 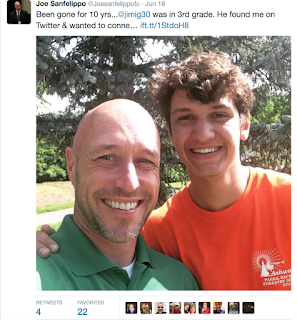 The next day as I was preparing for class I saw a tweet by another student from my days in Ashwaubenon. 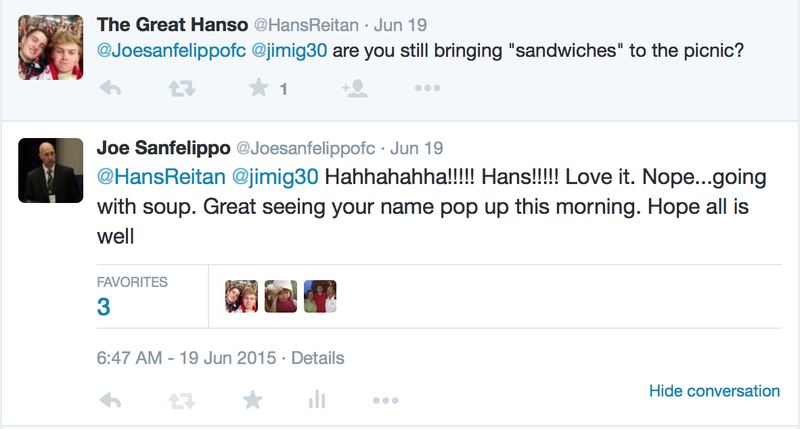 The tweet was simple…all it said was…are you still bringing “sandwiches” to the picnic. It took me forever to understand what that meant. When I realized what he was talking about, I just sat back and smiled. The tweet referenced a 5 minute ice breaker that we did before class…one time. One. Time. That is what he remembered. It was an activity that I haven’t thought of or used in over 10 years, but he did. Every interaction counts. Every single day with every single kid. The moments that you hold dear are special to you, but you have no idea what will resonate with them. As leaders in classrooms, schools, and districts we have to remember that eyes are on us all the time. That may be unfair, but it’s real. Any anxiety I felt with that concept was relieved through the interactions I had with these kids, who are now well on their way to being incredible men. As you reflect on the year and think about all of the lessons, meetings, and presentations what went well…consider the fact that there were thousands of interactions that may have been more meaningful for your kids, parents, and colleagues. Those moments may be the ones you revisit 10 years from now when your asked, “Remember when…”. Go Crickets. We raffled off 2 personal days a few months ago. It was a great idea given to me by the incomparable Jeff Zoul. I got to teach Chemistry (well, we actually talked problem solving with drones and Spheros) and a Library aide. It was a fantastic opportunity to get into the classroom and give away a day for our staff. I was happy that the scheduled dates came up during Teacher Appreciation Week. I loved the time with kids…dedicate opportunity to get feedback, but more importantly, just to connect. Unscheduled fun…One tweet from the day and I have already had conversations with a number of people who are implementing it in their building next year. This banquet allows us to select 4 seniors to recognize. They choose an influential teacher from their career and the local Chamber of Commerce puts on a dinner for all of the recipients. I got to attend and see the joy in the faces of both teacher and student…it was such a wonderful way to celebrate an educator that made a difference in their lives. Unscheduled fun…2 of the recipients from a different district were in 2nd grade when I was their principal in a different school. To see them walk across the stage and receive their award gave me an incredible sense of pride though I haven't seen them in years. We were interviewing for a few positions this week. We adjusted our schedule because 2 of our team members were being recognized by players on the Varsity Softball team. Each year, our coach asks his players to have one teacher introduced with them during a game…another great connection for staff and students. After a different interview, our team felt so strongly about one of the candidates that they wanted to drive 20 minutes away and offer the recommendation for hire at her student teaching placement. 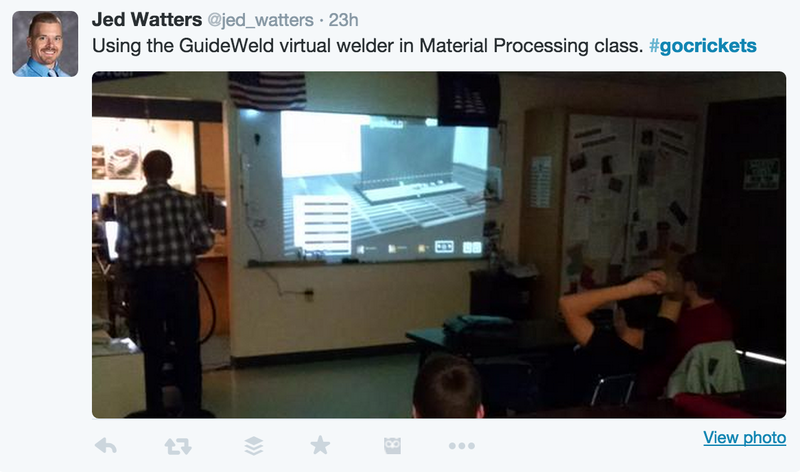 Unscheduled fun…to see the pictures from our teachers and the reaction of our recommended hire…wow. It was an impromptu event that our candidate and team will never forget. 20 minutes a day. That is all it takes. 20 minutes of uninterrupted time with your kids and the connection you can make is astounding. Muffins with mom is always 20 minutes and we always fill the gym. This year we had over 600 muffins ready for our kids and a significant female role model in their lives. We have 325 kids in our school. The response continues to make me proud to live in a place like Fall Creek. Unscheduled fun…Later in the day I received a text from a family at my former school. It was the family’s last Muffins with Mom as their youngest was moving on to a new school. She just texted to say thanks for starting it. 4 years ago one of our teachers asked if she could start a Girls on the Run team. We started with 12 girls, made great connections, and we were off. 4 years later we have 42 girls in the program and it is now the largest in the area. It is a perfect example of someone finding their passion and taking that passion to kids to give them an opportunity. The conversations they have about image, goal setting, and taking care of yourself and others have helped our girls tremendously. It also allows them to connect with other staff members in the building so they have another quality adult in their life. Unscheduled fun…I got to see parents take pride in what their kids do outside of school, watched a K-5 pep rally for 42 girls, and saw their reaction as they were given high fives from their peers. Teacher Appreciation Week is unique. 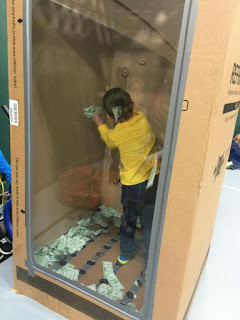 When I started thinking about this blog post, I was trying to figure out how we could make school feel like Teacher Appreciation Week all the time in our building. After a few conversations with people I know and trust, I have pulled back on that stance. Though we want people to feel valued and know that they are part of something bigger, there is no problem with adding a few pieces to a particular week of the year to celebrate our staff. Events are special. Scheduled events like birthdays, holidays, games, or a celebration week like we just had in Fall Creek. Unscheduled events like impromptu conversations, random Google Hangouts, calls, or tweets…however they enter your world, they are all about being in the moment. The week was full of moments that I won't soon forget, most were scheduled, but some were not…all added to an incredible place that I get to call home. Well done, Fall Creek…well done. Go Crickets. 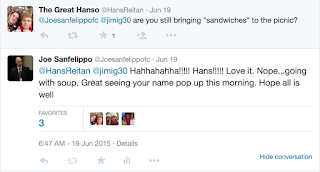 The after school routine in the Sanfelippo house was relatively similar on a daily basis. My mom would ask me… “What did you do in school today?” My answer was always the same… “I don’t know.” This conversation happens in many homes around the world. Clearly something happened during the school day when I was a kid…but the story of my classroom was dependent on a kid who really didn’t want to talk about school. The result of that conversation is clear…people wondering what is going on in those walls. The power of stories has an incredible impact on our lives. As kids we want to have stories read to us. As adults we gather to hear stories of the past. They evoke an emotion that can only come when we tug at the recollection of the moment. The stories told often narrow in perspective as time goes on. Our view becomes focused on our feelings at the time and that becomes the story. I don’t remember all the events leading up to my son being born (7 weeks early) almost 14 years ago. I do remember how scared I was and the first time I was able to hold him. That is the story I continue to tell because the focus has narrowed to those two pieces. The stories of schools are no different. The narratives of schools are being told by people who attended years ago. Whatever their experience was at the time is the one that they are telling right now. The issue is this…schools are not the same as they were when I went 20 years ago. Kids in our space are doing amazing things. They are creating, innovating, constructing, deconstructing, and problem solving like never before. 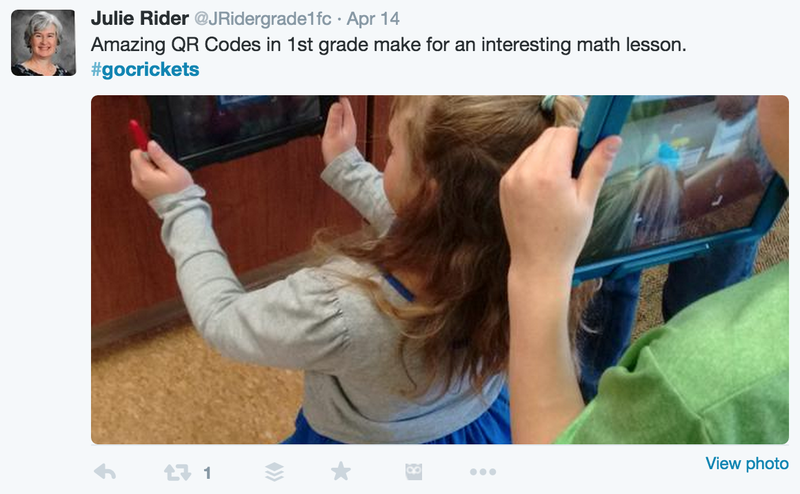 They are bringing content to the world instead of regurgitating content back to their teachers. They are connecting with authors and other classrooms across the globe on a regular basis. They are tweeting, posting, and blogging…all with the understanding that all education does not need to take place within our walls. The only way we can change the narrative of schools is to bring our story to the world. We are in a service organization. Bringing what we do to the world on a regular basis has not been part of our organizational DNA. Simply put…that needs to change. My 8 year old, my 11 year old, and the 14 year old are doing amazing things in their classrooms, with the leadership of INCREDIBLE teachers. It is not fair to them, or anyone in our space, to have their story told by people who have no connection to what happens here. I've attached a few pictures of things going on in our building over the last 2 days. 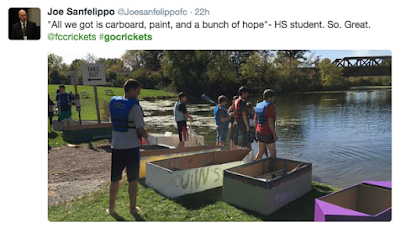 I didn't have to look to hard to find them...our #gocrickets thread is available to anyone on our website and gives us a chance to share our learning with anyone who wants to jump in. The opportunity to tell our story is one we really need to gravitate to with the current landscape of public education. We can't hope that the stories are told...we have to help others tell them. We can change the narrative by connecting with parents and community members through many channels. We can help parents have conversations that move from “What did you do at school today?” to “Hey, I saw on Twitter that you were launching rockets today…tell me more about that”. Most importantly, we can help students own the process and love learning so if they are asked what they did in school today they can move from…“I don’t know” to “I don’t know where to start.” Go Crickets. In a colossal lapse of judgment, the BAM Radio Network has asked the incomparable Tony Sinanis to host the 2015 Bammy Awards…and apparently I get to be his sidekick!! I have secured a utility belt to hold all of the hair gel he requires, made requests to have only blue M&Ms at the site, talked to the staff to ensure that the dressing room is at a perfect 73.6 degrees and have upgraded my phone so I can hold all of the pictures he will make me take of him during the evening. Ha! We are very excited to help bring the stories of great students, teachers, administrators, and innovators to the world through this event. Our passion is clearly in the area of Telling Our School Story. The book we wrote and the radio show we host are predicated on getting the amazing work our kids do into the worlds of those who have a different view of public education. The theme of the Bammy Awards is Breaking the Code of Silence. Check out the video as it presents a quick overview of what we can do as educators to tell the story of our schools. So…we hope you will join us, physically and or virtually on Saturday, September 26th as we hope to help tell the great stories of our schools. It may get a little crazy…I have purchased an Ab Roller and plan on using it 4-6 times to ensure that I am physically fit enough for the event…or at least it will strengthen my core and help if I am laughing too much!! One thing is true…the theme of Breaking the Code of Silence requires loud voices…and BAM could not have picked 2 louder. Let’s do this! Can We Change Ed Reform? Social media has been a great place for me to learn and grow over the course of the last 2 years. I have met some amazing people, connected with government entities, and cultivated resources that I hope have helped our school move forward. However, there are times throughout the year that I think we as a connected group forget that though our group is growing, it still makes up a relatively small portion of educators working with kids on a regular basis. We talk about change, the impact of being connected, and how ownership of learning is key to learning...but it is often in a tunnel of those we have chosen to connect with and who share similar views on what education should look like. There are people across the world doing amazing things. Most of those who are connected are more than willing to share so our Fall Creek group can have the connections to get better in their space. 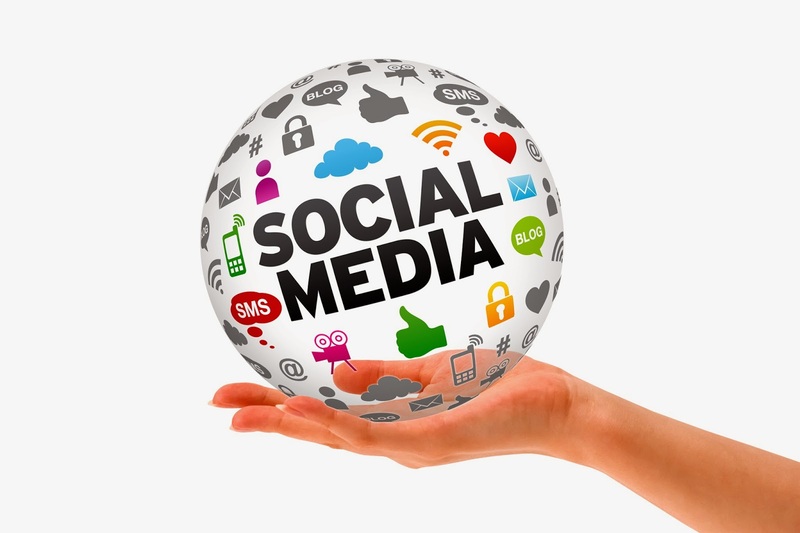 We have been able to bring in authors virtually, talk to local, state, and national leaders on a regular basis with the help of our social media presence, and distribute resources we have found by getting past the Google search. That is awesome...but the perspective is still only reaching a small population. The people we work with will not connect if they don’t see the value to their immediate space. Example...I hate to exercise and eat well. Hate it. I know it is good for me and I know it would make me feel better. My wife is the most beautiful thing that has ever landed on the planet and she is doing everything she can to provide great meals and encourage me to exercise, but when I see a place to get a pizza, I’m getting a pizza. I haven’t seen the value because I have not been invested in it...and if she can’t convince me, no one will until I start to see the value for myself. When I see personal success, clearly I will be encouraged to engage more. Social media is the same thing...until educators see the value for their day to day interactions with kids, it will still be a place where a small percentage lives or what “those people do”. with them...the impact we could have together is much better than what we have individually. There are a number of very vocal and highly visible people on the speaking circuit who are extremely active on Twitter. When I went to see speakers 5 years ago it seemed like they were talking about dreams rather than reality. They stood on a stage, got people fired up about education, and then they left. Now, we are able to connect with those people on a regular basis. Every keynote speaker I have seen in the last 2 years has been accessible through Twitter. I have reached out to most, and in almost every case I have been able to engage in a dialogue about how we could help our kids grow and succeed. Having said that...we need to help people connect so they can find their own way without making it feel like they are poor educators without it. Help out at social media lounges at conferences, engage in conversations on twitter, and offer to help through Google Hangouts or Skype. Helping others see the value means being there if they need the help, not just telling them they should do it. We owe it to our staff to help connect and continue the conversations so they know how. Getting everyone ON Twitter is a great idea in theory, but ON Twitter does not always mean invested in the process. Conversely, ON Twitter does not make you a great teacher...it may give you more resources, but at the core of what you do should be the teaching and learning of the group you are assigned. They only have a limited time with us and every effort should be made to ensure that the time they spend in our space is inspiring. The use of social media and technology can clearly enhance the learning environment, but is not the answer if instruction does not change. Bringing back the exercise example...I have the shoes, the Ipod, the quality ear buds, and like 5 mapping apps. All of them were great for a week...then the allure of something new was gone and the $100 shoes I bought to take me to the next level stare begrudgingly at me every time I leave the house. If the intent moves to more ownership of the process, everyone will be more invested. We all want to own our growth. The most productive Professional Development in our district over the last 2 years was clearly learning from peers and self directed. Our teachers know that...and that knowledge helps us transfer the environment to our students. Teachers don’t like to be talked at all day. Guess what, students don’t either. Loved this post from Grant Wiggins on a teacher spending 2 days as a high school student. We owe it to our kids to increase our ability to instruct and provide a place that is engaging for students. Getting there means we need to empower our teachers to learn HOW to make that happen instead of walking in an expecting it to be the norm right away. moves on. I know teachers and administrators who have not engaged in a new process because they know the person will be gone in a few years and they will have to start something new when a different leader chosen. Who can blame them!?!!? The minute they feel comfortable with the initiative, a new one comes along and they have to find a way to integrate what they have done, or scrap all of the work that went into it at that point. We have all been there...change is necessary, but doesn’t need to be constant. The point is this...education reform will go nowhere if our staff does not feel a connection to where we are going. If we want them to invest, we need to invest in them. For those who are making decisions on a state and national level...ask our teachers what they need to be successful. For those people in the connected community...extend the conversation beyond those on social media who already believe a new direction is needed. 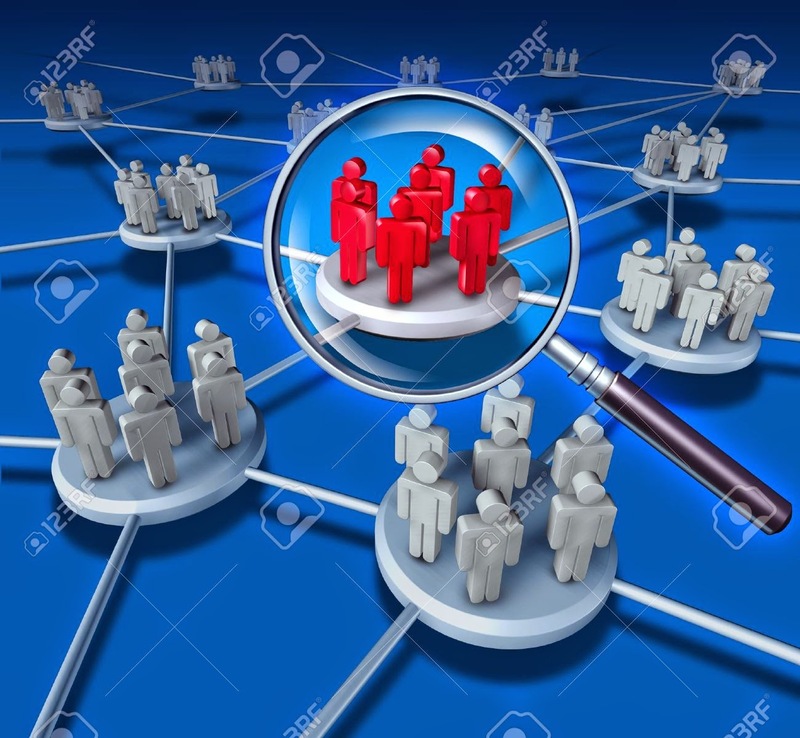 Those of us who are connected have a responsibility to spread the word, do great things, and invest in people who are not connected so they can see the value without pontificating so we push them away. We have a responsibility to get into universities and raise the expectation so we are hiring people who we want to be like, not who fit into who we are. There are pockets where these things are happening...and pockets of excellence are a great start, as long as we encourage and empower everyone in our environment to do what is best for kids and those pockets grow over time. Go Crickets. Superintendent in the fantastic district of Fall Creek!I am so lucky to work with amazing staff in an unbelievable community. Are you following my new blog?